Image by: Jim Rothschild, Baltimore, MD. 240 French Language songs to date and counting! Follow us on our continued journey into French Language Popular Music. No need to speak French to enjoy this musical genre. In Series 9 of Bonjour Chanson we'll bring 30 more songs with an amazing variety of subjects and moods. 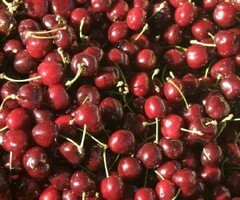 If life is a bowl of cherries, so is exploring new and familiar French artists and their songs. There is a surprise behind every corner. Sit back and relax. Let the beautiful voices and melodies carry you to a different place. Bonjour Chanson, Series 9, Episode 44. Bonjour Chanson Series 9, Episode 41.